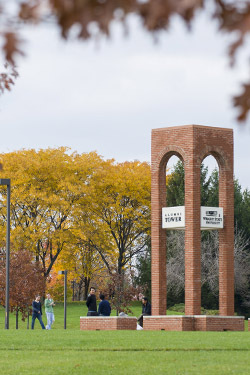 Thank you for your desire to support Wright State University! You may designate your gift to a specific college, school, or program, if you wish. Or donate to the Wright State University unrestricted Excellence Fund for your annual gift. By providing an unrestricted donation to the Excellence Fund, your gift will be used for the university’s high-priority needs and opportunities. If you are interested in establishing a named scholarship or endowment or a planned gift, or if you have any questions, please contact our Advancement team. Memorial and/or dedication gifts can be made through our online giving form via credit card by selection. To make an immediate gift via credit card, please complete our secure online giving form. Memorial or dedication gifts can be made by checking the appropriate box on the online giving form. Please include your gift designation(s). If you are making a memorial or dedication gift please include a note indicating your gift designation, and if applicable, the name and address of the person being honored with your memorial or dedication gift. Your gift is tax deductible to the extent permitted by law. Please consult with your tax advisor for deduction requirements and limitations specific to your situation. We will send you a letter to thank you for your donation as soon as it is processed, which will serve as your receipt for tax purposes. Wright State University Foundation, Inc.